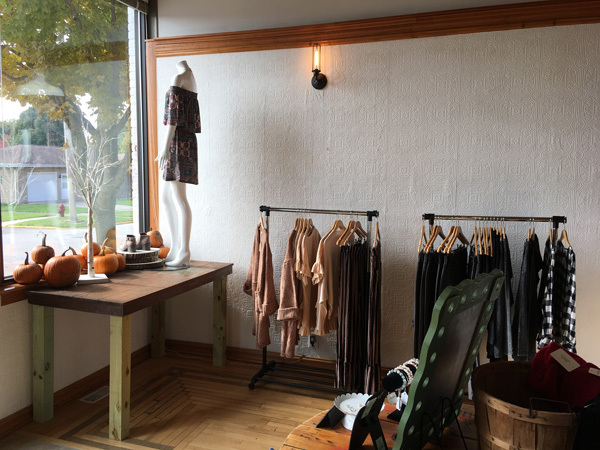 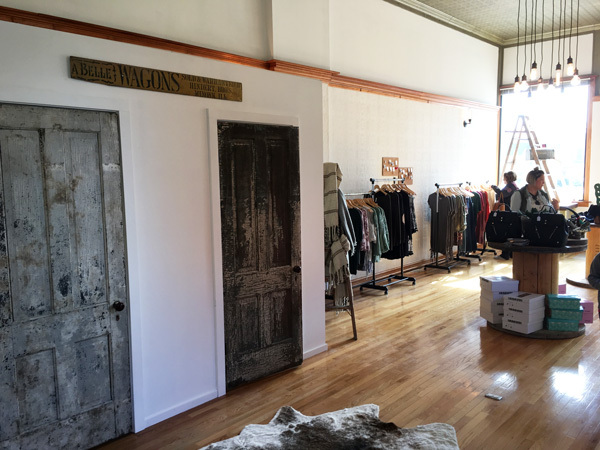 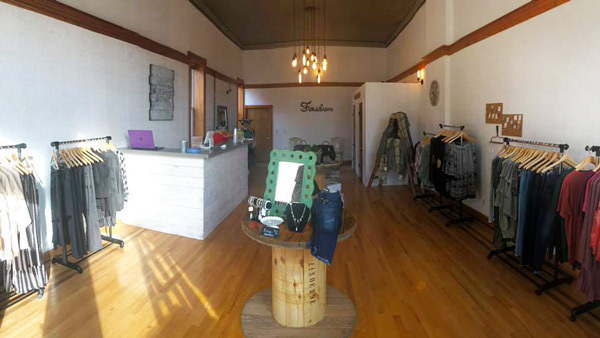 Above is the show room for White & Rustic, a boutique store that had its grand opening Saturday. 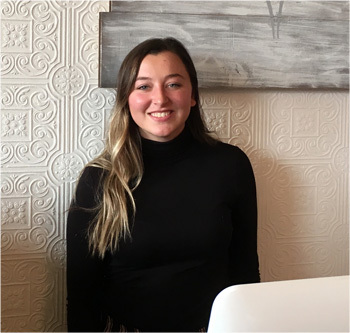 Above is Haley Ruestman who is owner/operator of White & Rustic. 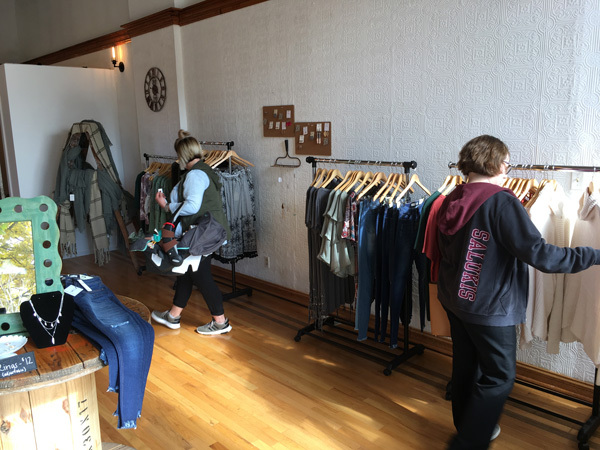 Customers view the dresses and ensembles on display.